Hi! I'm one of the unlucky few who only read about the contest late. I'll be trying my very best to create something which would hopefully be worthy of a feature. It'll be my first time handling with game/real-time FX so here we go! 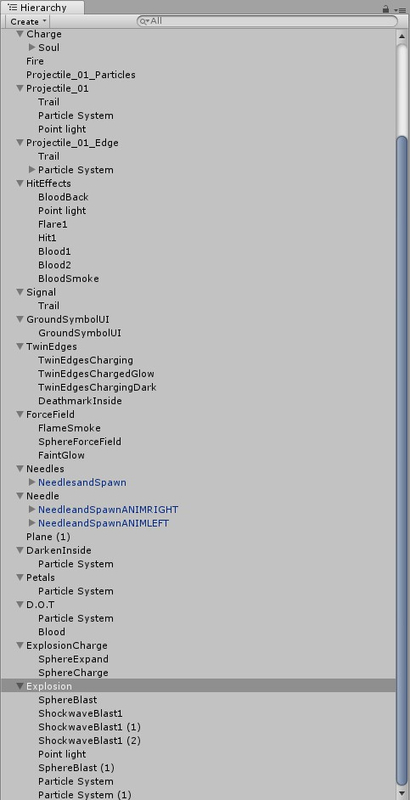 My main choice of software will be Unity for the particles. I'll update along the way if I require any 3D Models! As a fan of the Asian Culture, I've decided to focus on a mixed theme of Japanese culture and the Blood Moon Theme. P1 fires a projectile which resembles a Kogai (TBC) at P2. P2 gets damaged and slowed. Projectile emits a firework above P2. Mark of the Blood Moon emits a final blast, shattering the Needles and damaging P2. Since this ability is complicated and feels OP, it's safe to classify it as an Ultimate. Note: Slices need to be smaller. Apologies for the long wait. Was busy in internship so I only had a limited amount of time to work on. I realized how complicated the effects are because of the long duration of the spell. It's a challenge to keep the look and feel constant throughout the spell but I'll try my best once I'm done with blocking out everything in the spell. Here's a screenshot of the various components I've used so far. More to come! I went ahead by adding a bloom effect from the Unity Post Processing Stack. This made the whole thing look 500% better. For anyone wondering how I made the animated textures, I used ShaderForge and UV Mapping. One example would be the mark in the middle while the explosion is charging up. I've only realized now that a Sprite animation would have suited better for it but I think it still looks decent. I cannot say I am an expert at this thing but I will try my best to provide suggestion! These may be super long, and may sound tedious but it is mainly fiddling with dopesheet, graph editor and particle editor, so please don't feel stressed and have fun! You may consider this as a checklist and general rule to follow also. 1. The ink gathering suffers from linear graph, like it goes gradually, equally every frame with no slow-in or slow-out. Since you're using Unity, which have super easy graph editor, you might want to look into that. 2. The ink blob gathered should grow in power as it is charged. For a spell as powerful as your description, it should grow to at least 2/3 for your sphere. And additional particle glow could help as well. If you are reluctant about adding particle due to its contrast with the theme, try add some 'ink' alpha blended particle that 'spatter' around from the blob, or the light indigo particle as you are doing a blood moon theme. Also note that the curve rule apply here. Try not to make it linear. 3. There is a thing I used that I personally call 'bounce effect'. It's a quick and effective way to may your effect lively. You would, during the very last part, make your effect bigger than actual, then, at the next 5-10 frames, smaller, then become its actual size at the very last moment. These all should take about 10-30 frames to finish. It doesn't need to be super noticeable but must be subconsciously, like you feel that there's movement there, but you cannot really see it. If you look at my thread, pay attention to when the 'wisp' spawn in my latest cast animation update. That is what I talk about. 1. Generally make it more dramatic, more explode-y. 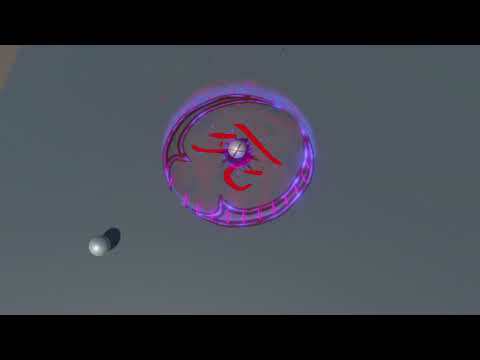 Experiment with animation and particle emitter. Your best friend will be 'Color over lifetime' because that's the part that help spice up everything. Also try to random everything: size, duration, speed, duration. The beauty of particle is it is not very predictable and full of life, and life is randomness. 2. Again try not to make it linear. My rule of thumb is most explosion goes big really fast and then slowly dissipate without changing its size much. Try using that graph that curve toward the left side in 'Size over lifetime' for most explosion. 1. Nothing much. 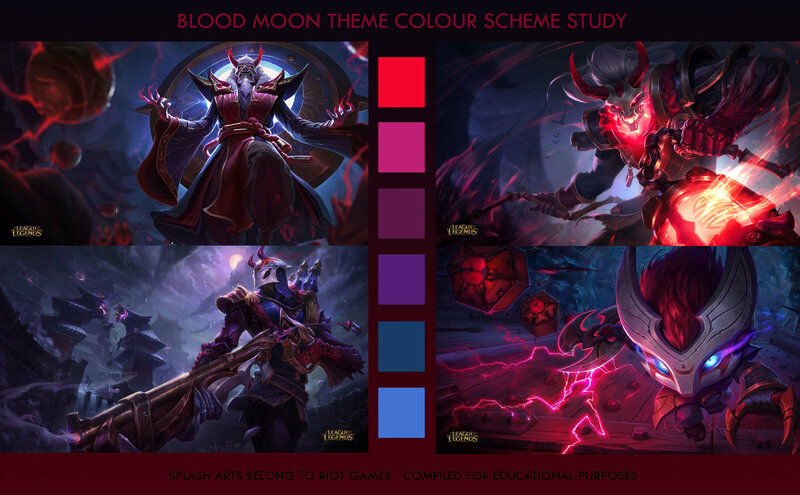 I personally thing it could use more blue/indigo (it's a blood moon theme after all) and be brighter and more dramatic. The shape could be sharper and narrower. My rule of thumb is that, if it is super dangerous, it should have bigger/sharper/flashier projectile. Most round projectile are associate with healing and/or support, though not always the case. 2. It could also be faster. Speed plays crucial part in portraying the power of an ability. Compare Jhin's Q, which generally used to last hit minions and maybe some poke, and his R, the infamous across-screen sniping ability. It may generally be the game balance issue also, but those two have vastly different speed and it is obvious which is more dangerous. Jhin's W is super fast, but to portrays its weaker damage it compensates with not as bright and flashy projectile. Morgana's Q is super damaging and in most case spells doom. It is VERY slow but have super large and flashy projectile to convey its message. 3. Since you'll use petals at the very last part, it might be nice to add some of them to your projectile to tie it together with the later part. 1. Again, be more dramatic and flashy. This spell is an ultimate and super dangerous! Think of what to do to convey such message. Bigger? More flash? More particle? Experiment and also try not to make things linear. 2. Your ability is similar to mine in that the projectile create an area. My rule of thumb is that your impact should have some effect to show you how large it is going to be. Mine use sparkles which expand and stop at the almost edge and some shockwave effect (create by expanding 2D sprites lol). I've take a quick look at Blood Moon Jhin, which is probably your main inspiration, and I think you should pay close attention to his E's explosion and R's impact. Also his Classic skin has super nice explosion on his E, so you maybe can take note from there. 3. Again, petals and stuffs. 4. Your upward missile should respect gravity. It can explode, to signal the rain of arrows. Note that it doesn't have to reach its top and immediately explode. Left a bit of time to allow the viewer to register that it reaches its peak. 1. The red target circle should have the 'bounce effect', or at least not appear abruptly and linearly. It doesn't have to start at size 0*0*0. 2. The needle appears linearly (I think you might get tired of this word by now. I'm sorry). If possible, I would make it hit the ground randomly. If not, make it goes in a simple circle or two semicircle that start from different side. The current version looks awkward in my opinion. I know that you kinda want it to be like a crescent moon, but for stuff like this it doesn't really work well. 3. When the needle hit the ground, have some small impact effect. 4. If possible (because it seems like a lot of work), make the needles angles downward as it goes down. This is not necessary. 5. I personally prefer your sketch version of the blood moon mark because I am a symmetry enthusiast. I can see that the current one mimic the moon waxing. In that case, goes from the base of the moon (the left side) to the tip of the moon (the left side). Also, try to always make the moon's base part face the camera (Think about Diana's E). Or if you want an offset crescent, the tip should face left, because that is what most people are familiar with IMO. 6. The 'absorb' effect should start from the same size as the area. Right now it is smaller for some reason. It can be smaller in the later stage which everything is fast and frantic. 7. This is necessary for this kind of VFX (The delayed AoE damage), at least IMO. You should have some underlay/overlay effect ON THE GROUND that tell the area and message the player that "Hey, things are happening here and it's not good!". Karma's RQ has ground crack. 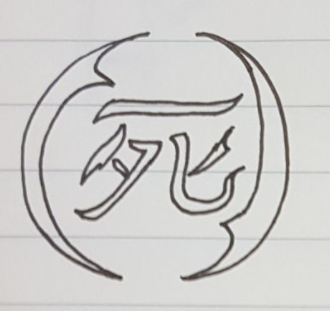 Jhin's E has some swirl. In fact, I think Classic Jhin's E that appear from last hitting champion (The one with big red flowers) is suitable as your reference. 8. Petals are too small move upward too fast. I think fun thing to try is use upward speed + limit velocity over lifetime. Set sim. mode to local and rotate your emitter. It will probably give an illusion of whirlwind of petals. Also, in color over lifetime, the very left side should be transparent and also it should fades out toward the right side. This gives an illusion of petals fading away. You could also scale the petal to 0 over life time if you don't want to make a fading magical petal. You've attached Order of the Lotus Karma's RQ as a reference, so I'd suggest study how its size changes over its duration. 9. You don't need blood spatter, just some 'cut' effect over the sphere is fine. It's a damage over time effect that is a part of an explosion so it should not look super damaging. 10. Try to random everything of the particle: size, duration, speed, duration. The beauty of particle is it is not very predictable and full of life, and life is randomness. 11. This is just something I've observed from Kindred's R (I kinda reference it too.). What make that ability so special is its timing. I'll break it down for you and hope that you can adapt it to your effect. It's may not be precisely what happened but I will write what I've recalled. - 2nd: About a second has passed, The outer ring glows dimly. The particle emission rate start to increase. This happens almost abruptly. - 3rd: Another second has passed. The 'brighter barrier' appear, The outer ring glows brighter and the inner ring starts to glow. This happens almost abruptly. -4th: Another second has passed. The 'barrier particle' appear, Everything glows intensely. The innermost ring start filling in. -5th: A healing impact. The glow fades away fast, leaving only the mark which fades. What I'm trying to say is, most ability have a slight delay and could get away with just make everything glows overtime, but for something with such a long delay, it is better to divide the effect into stages. My entry has two stage, the blue in the beginning and the yellow as everything going to explode. You already have two stage: the moon and the letter. Try to make the effect of the previous stage more dramatic once it enters the next stage. 12. This is my opinion, but I think the mark and everything should stay as like the burnt mark on the ground after the spell's down. Right now it's abruptly disappear and create a disconnection between the AoE and the explosion. I really appreciate all the time you've spent helping me out, really means a lot! I'll be sure to take note of what you've said while working on my next WIP. It really is a lot to take in but having a lot to work on is better than having nothing to work on. 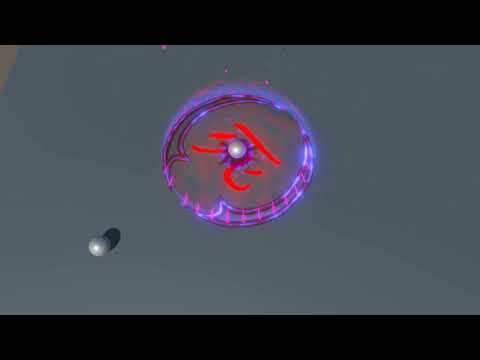 I've updated the beginning by adding more particles and using the graph editor. Unlike the one in After Effects and any other software in general, the animation graph in Unity is very limited because of the handles. Huge thanks to Kassandra for all the tips! Slowly making progress even though there's only a few days to go.